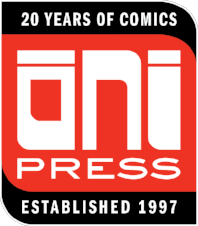 Oni Press is excited to announce that Invader ZIM Volume 5 will be landing in the direct market on February 21, 2018! 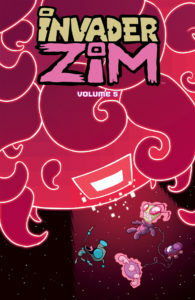 Invader ZIM Volume 1 was previously on Diamond Books’ best-selling graphic novels of 2016, with subsequent volumes on Diamond’s monthly top 100 graphic novels lists at release. 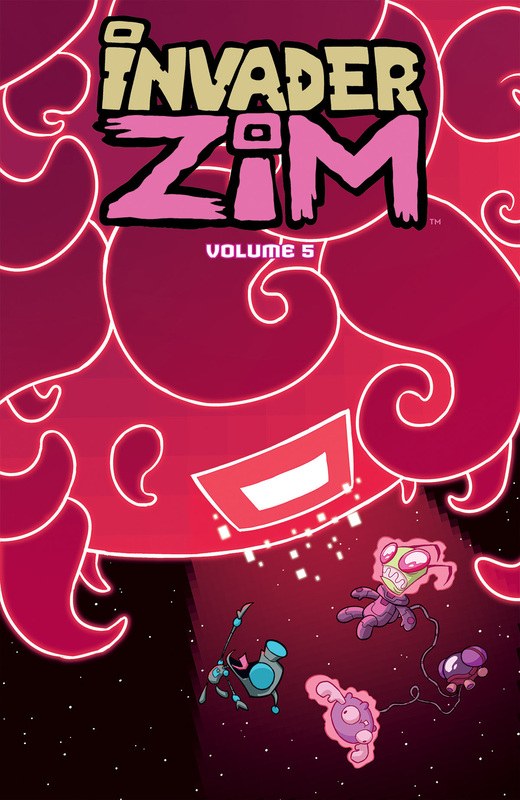 Volume 5 collects the series’ first 4-part story, “The Arc of VIROOZ,” as well as the standalone issue written and illustrated by Dave Crosland and colored by Warren Wucinich, “Merciless Monday,” in which ZIM, GIR, Gaz, and Dib all switch minds. “The Arc of VIROOZ” was written by Eric Trueheart and illustrated by Warren Wucinich, with colors by Fred C. Stresing. ZIM’s latest doomsday plot is foiled when GIR goes haywire and tries to kill everyone in sight—but especially ZIM. He kinda deserves it. Diagnostics reveal that the malfunction is due to a virus, forcing ZIM to do the one thing he never thought he’d have to—go inside GIR’S brain. Where nothing works and everything is exactly at GIR’s level of nonsense. And when ZIM discovers that the virus was created and implanted by a being known only as VIROOZ from the planet Cyberflox… well, we can’t give away the whole thing, but needless to say, ZIM will have his revenge! Invader ZIM Volume 5 marks also the end of series artist Warren Wucinich’s run, on which Warren commented, “I can’t think of a better way to end my run on Invader ZIM than ‘The Arc of VIROOZ.’ Well… actually, pie. I would have liked some pie.” Wucinich will continue to letter the series.